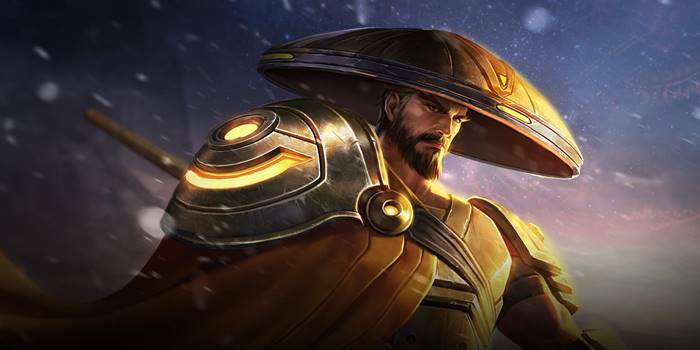 Ryoma Item Builds Guide for Arena of Valor (AoV). Each build is geared toward a different play style, so choose one that fits your personal preference. These items are necessary in order to play Ryoma optimally. Only diverge from a core item if you are a very experienced player or you have a very good reason for doing so. Rankbreaker Rankbreaker is an essential item for Ryoma, granting him large amounts of attack damage and allowing him to sunder the opponents’ armor. The movement speed it additionally provides is great for moving between lanes to gank opponents in other lanes. Frost Cape Frost Cape gives Ryoma some utility and a bit of defense. The slow not only nicely empowers his attacks, it can stack on top of Naginatajutsu to slow enemies at a range. Given the frequency that he he follows up Wailing Blade with a normal attack, he will benefit from Frost Cape very regularly. Fenrir’s Tooth Offering immense attack damage and a lethal passive, Fenrir’s Tooth is a great way to cap off Ryoma’s items. The added damage will enhance all of his abilities, while the damage passive will make him a terrifying finisher. Medallion of Troy Medallion of Troy is a standard defensive item that helps keep magic users in check. It additionally offers a moderate amount of HP for all around defense and some cooldown speed so that he can use his abilities more regularly. Hyoga’s Edge Hyoga’s Edge provides large amounts of defense along with utility by means of its passive. Biting Cold will help Ryoma chase enemies when his burst isn’t quite enough to finish them off. Muramasa Muramasa follows up Rankbreaker by allowing Ryoma to rip through even larger amounts of armor. As its armor reduction is based on how much that the opponent has, the item grows more effective the tankier that opponents are. Hercules’ Madness When regularly cutting it close, Hercules’ Madness can give Ryoma the edge he needs to edge out his opponent. The shield and damage boost that it provides when the user’s health drops is a great way to flip fights around. Gilded Greaves His primary boots choice, Gilded Greaves helps Ryoma shake off any control effects his opponents throw at him. The added magic defense is a nice plus, helping the Ronin break through enemy spells to attack. Sonic Boots Sonic Boots is an alternative for Gilded Greaves when the enemy team is low on magic and high on physical damage. The armor and damage reduction is particularly useful when facing marksmen. This is the most common set up for Ryoma, it focused around buffing up his immense damaging potential. Rankbreaker and Muramasa will take care of any amount of enemy armor while also adding considerable amounts of attack damage to his arsenal. Frost Cape doesn’t offer as much damage as its alternative, Omni Arms, however the slow and survivability it provides are much more useful to the already damage-heavy Ryoma. To further aid survivability, Medallion of Troy stands as the only defensive item, though a great way to stave off magical harassment. While best suited to the Dark Slayer lane, Ryoma can also act as a rather capable jungler. He should always take Soulreaver as his jungling item when doing so, the large amounts of attack damage it provides just too valuable to him. This high attack damage is capitalized on with armor pierce through Rankbreaker and Muramasa, countering those who try to defend themselves. Mail of Pain is his main source of defense here, offering up some health and armor while also punishing marksmen and warriors who try to engage on him. While more defensive than the other builds, Ryoma will still be able to dish out considerable amounts of damage when subbing in a few defensive items. Frost Cape, Hyoga’s Edge, and Wailing Blade will make him a control machine, completely locking down enemies who will then have little choice but to take his punishment. Spear of Longinus offers nice amounts of cooldown reduction, armor, and attack while also meshing well with Spectral Ire. Hercules’ Madness, Hyoga’s Edge, Frost Cape, and Spear of Longinus together will make Ryoma tankier than most anticipate, and thereby able to flip ganks against him to his favor. This is obiviously a laning build, I use it General in bot lane. Knowing that Ryoma relies on armor pierce, Rankbreaker is his core item for it. Guilded Greaves You know how they work, Spear of Longinus is Pretty good because of his 400 hp, 15% decreasing cooldown and his passive, that in combination with Rankbreaker can give 500 of armor pierce, so squishy heroes will be terrified of You ;). Frost cape is a must I will not explain why I choose this item. Medallion of Troy give you a good amount of health and magic defense, and if You use Ryoma as a warrior is pretty useful. I take also Fenrir’s Tooth because in late game Ryoma becomes mainly a finisher, and the 200 attack and incredible passive of Fenrir’s Tooth make him a nightmare to squishy and low health heroes. N.B. : remember that with this build Ryoma DOESN’T BECAME A WARRIOR WITH VERY GOOD DEFENSE, so pay attention To total feed assassins like Wukong: you’re very squishy To him. Knowing all that, I would call my build “Assassin but still a warrior” because you can do a lot of damage with not being that squishy like assassins. Cooldown reduction can be a very valuable stat on the mana-less Ryoma. The utility and damage it allows him through his abilities can be a big help in fights. Everything else is fairly standard, focusing on Ryoma’s damage along with a bit of defense for good measure.